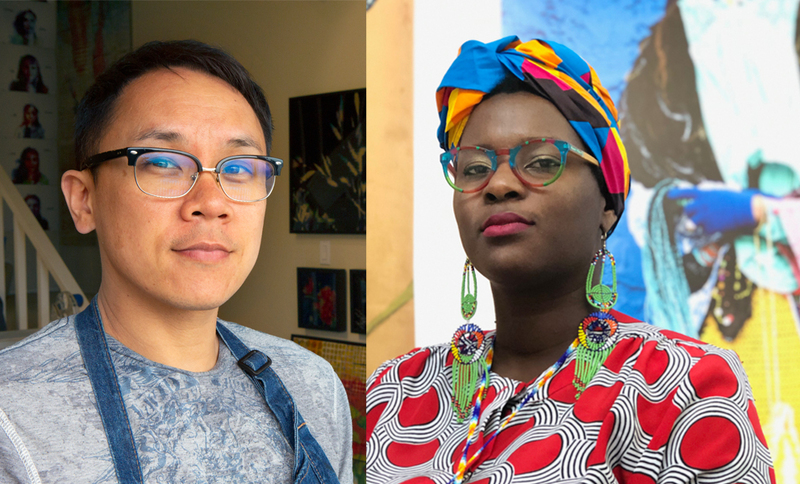 Hinkle and Hua were chosen through a selection panel process from a pool of 300 applicants in the Bayview Artist Registry. The SFPUC and SFAC partnered to create the registry, a Citywide pool for public art projects associated with construction in San Francisco’s Bayview Hunters Point neighborhood. The registry aligns with San Francisco’s 1969 Public Art Ordinance, which requires two percent of all eligible above ground city construction costs to support arts enrichment. Note - the images above depict the artists' proposals, which are subject to change slightly during the construction process. To learn more about the Bayview Arts Registry, visit the SFAC’s Request for Qualifications webpage . To learn more about the SFPUC’s public art efforts, visit the agency’s art webpage . The San Francisco Public Utilities Commission (SFPUC) is a department of the City and County of San Francisco. It delivers drinking water to 2.7 million people in the San Francisco Bay Area, collects and treats wastewater for the City and County of San Francisco, and generates clean power for municipal buildings, residents, and businesses. The SFPUC’s mission is to provide customers with high quality, efficient and reliable water, power, and sewer services in a manner that values environmental and community interests and sustains the resources entrusted to our care. Learn more at www.sfwater.org . The San Francisco Arts Commission is the City agency that champions the arts as essential to daily life by investing in a vibrant arts community, enlivening the urban environment and shaping innovative cultural policy. Our programs include: Civic Art Collection, Civic Design Review, Community Investments, Public Art, and SFAC Galleries. To learn more visit, sfartscommission.org.